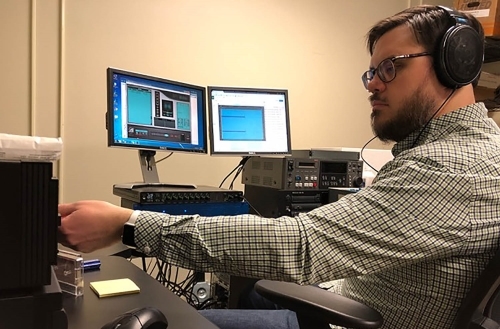 Audiovisual digitization specialist Stephen Bolech utilizes LIO-8 AD/DA interface converters to convert and preserve analog material for library system. Baylor University’s comprehensive library system includes an equally-comprehensive audio/visual archival service headed by audiovisual digitization specialist Stephen Bolech. In addition to digitizing the library’s extensive collections, Bolech is involved in digitization work with the Black Gospel Music Restoration Project, the George W. Truett sermon archives, The Texas Collection, the Baylor University Institute for Oral History, and the Crouch Music and Fine Arts Library collections. On Bolech’s recommendation, Baylor uses two Metric Halo LIO-8 AD/DA interface converters to render faithful digital archives of all the various projects’ phonographic and magnetic analog source material. 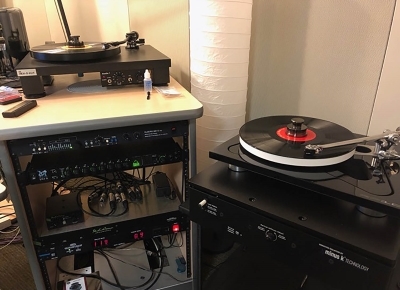 To archive phonographs for the Black Gospel Music Restoration Project and others, Baylor University uses a Rek-O-Kut Rondine3 archiving record player and a Rega RP10 audiophile record player. Both machines handle standard LPs and 45s beautifully, and the Rek-O-Kut accommodates any other odd speed or oversized disc. Bolech typically runs both record players at the same time, which uses four channels of the Metric Halo LIO-8. If plans to obtain other archival-quality record players materialize, he will use the remaining four channels to convert them. All Baylor archives use 96kHz/24-bit resolution. The library’s second Metric Halo LIO-8 resides in a special magnetic media archival room. A Cube-Tec tape archive system allows two cassette tapes to transfer at the same time and for both of their sides to archive simultaneously. Thus, all eight channels of the LIO-8 are engaged, again at 96kHz/24-bit resolution.